songboy's review"Lots of features and with a well organized GUI"
I run this synth on a Macbook Pro (10.6.8) with an RME Fireface 800 in both Ableton 8 and Logic 9. So far I have had zero compatibility issues. The Zebra 2 performs very well in both DAW's without any hiccups. The overall sound quality is very good. The recent batch of "Flagship" soft synths have really been sounding great. 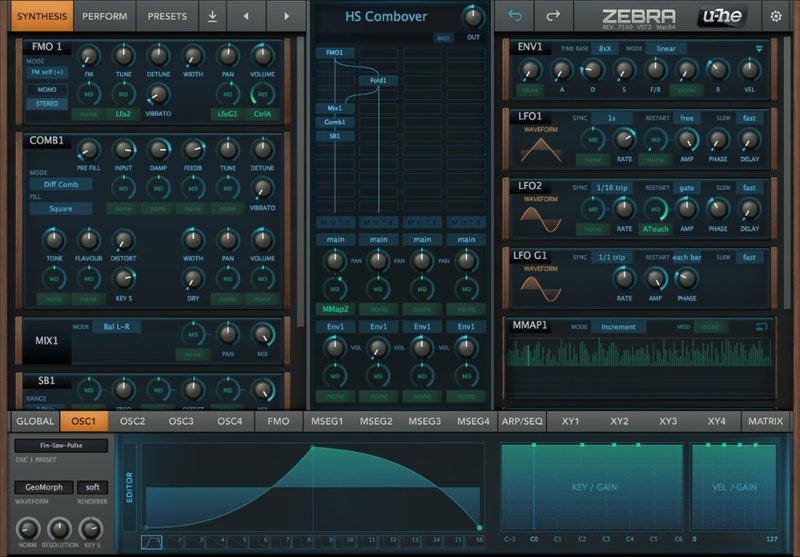 I hold Zebra 2 in the same ranks as Synthmaster 2.5, and Sylenth. The sound is quite "natural" sounding, meaning it sounds more like a Virtual Hardware Synth than a Soft Synth and doesn't have that lack of body or warmth found in some soft synths. The configuration of the synth is very well thought out. Even though the synth offers a ton of options and tweakable parameters, they did a guide job of organization. They also set up the GUI similar to how Native Instruments Battery works where in the bottom, you have "tabs" that when selected show only the specific parameters of that tab. Essentially lots of options using little space. Another cool thing about this synth is the "Perform" section where it starts you off with 4 midi "learn-able" X/Y boxes. With the heavy presence of Computer Touch Tablets these days, having these X/Y boxes come in very handy. The synth itself is loaded with all sorts of options. First off you get a 4 Oscillators in which you can apply a bunch of different wave presets (standard square, saw..etc to random sillyness like Wet Eel and Fizzle Gedizzle...seriously) as well as the ability to fully customize each to create your own with the built in editor. You also get a very sophisticated arpeggiator and sequencer, a modulation matrix, a standard set of effects, and a ton of presets to get you started. What I really like and actually dislike about this synthesis is it's insane amount of options. What I mean is I don't use this as my "get a quick think, fuzzy lead in there" or something else needed quickly and efficiently. This is one of those synths that it can take a long time to create patches with. There are just so many options that it can feel a little daunting at times. I am sure the more I use it the better my workflow will become, but as it stands, I only take it out when I have the time to dedicate. I will say that, with all the options, you can really create some massive sounding movements filled with swirly pads, percussion lines, and arpeggiations from the most outlandish wave forms straight from your brain, which can be extremely pleasing, but get ready to spend some time on it. 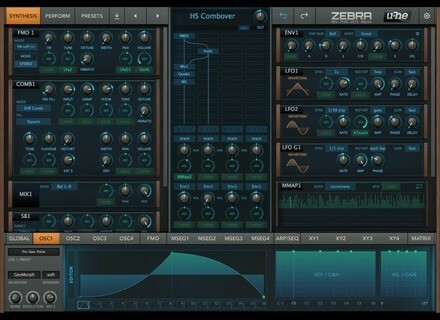 I do enjoy the time I spend with this synth and the sound quality is great, again, on par with Synthmaster and Sylenth. I paid $199 which is average for a current soft synth and so far I am into it. I would recommend it to any who likes an expansive view on synthesis and likes to deviate from the traditional analoge style subtractive synthesis only. Pop-peye's review (This content has been automatically translated from French)" A Best"
-Of Huge sound possibilities, a very thorough synthesis, a great modularity. One must now it can do almost everything (except the import of sample) and go in all registers. -http: //m.youtube.com/watch v = 4rBMb2oijyo? Alternat Runner's review (This content has been automatically translated from French)" Pretty good, but ..."
The GUI is a sadness! Almost as depressing as that of Largo ... say it! In general, the sounds are of good quality and relatively original. The number of settings is quite impressive, but I know there is not too much synth, I'm a little confused. So it's all very well, but ... When we tasted Crx4, Omnisphere or Z3, hard to find convincing sounds ... So, I use it from time to time, especially for arpeggio patches (category Lupins on the interface).